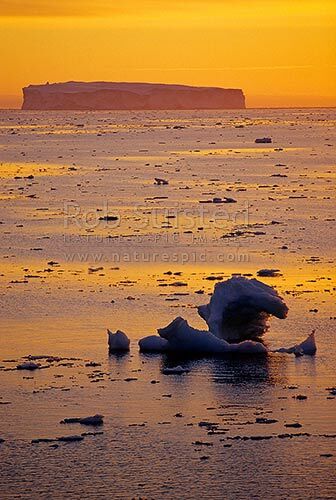 Antarctic sunrise - sun rising over pack ice and tabular ice bergs. 66 degrees South. 66º 2’ S 141º34’ E, Open southern ocean, Commonwealth Bay, George V Land, Antarctica District, Antarctica Region, Antarctica, stock photo.